Softerra LDAP Browser is an LDAP client for windows explorer for the IT professionals. It allows viewing and To analyze LDAP directories easily through an intuitive interface that allows the transfer of large amounts of data and supports LDAPv3 directories. 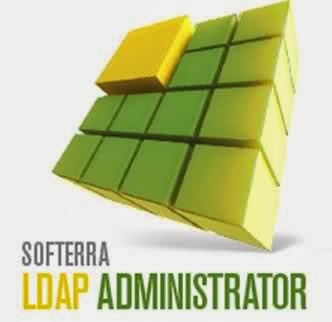 Softerra LDAP Browser is a lightweight version of Softerra LDAP Administrator with limited functionality and is absolutely free for all uses , including commercial .Features: Softerra LDAP Browser is really an overview of your complete package outstanding administrator. The browser version has similar functionality as an administrator, except that the command prompt changes to the LDAP functionality can not be done. The package can lead to users familiar with LDAP technology before making an investment in its own right in the manager. Softerra LDAP Administrator allows a user to develop, implement and manage LDAP (Lightweight Directory Access Protocol) directories. It does so by presenting the user interface style Windows Explorer to view and manage directories. The browser allows you to view all . The interface also provides a basic HTML. You can use Active Directory, Novell Directory Services, Netscape / iPlanet other LDAP servers. This is an advantage that you can use the tool on these platforms. It also has full support for LDAP Version 3 server suites. It has a distinctive names editor points (DN ) NA options that allows visually browse through a list or a tree instead of typing the name of the DN . Security is a key that provides SASL authentication operation Start / Stop TLS, the integration of SSL certificates ( via a SSL certificate manager ) and a management role credentials . Other open standards, including DSML version 1 and 2 , XML -RPC, and XSLT are supported.